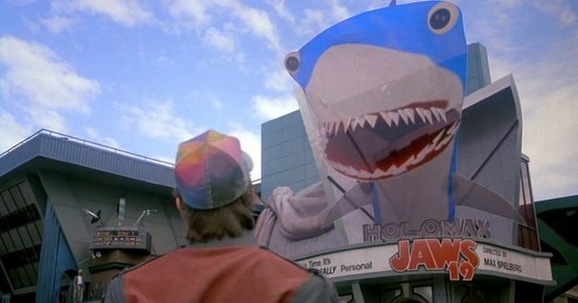 In 1989 Back to the Future II showed us a vision of a not-too-distant future where the world had become a strange place where things hover off of the ground much more often than they do in our own time. That particular imagining of the future is almost upon us—Michael J. Fox’s Marty McFly flies his DeLorean into October of 2015—and because our sort obsess over this sort of thing, we keep comparing the reality of the film to the reality of our reality, to see how the two stack up against each other. This new inforgraphic does the same thing, listing out some of the inventions that the movie shows, and seeing which of those have come to pass over the last 25 years. In this image, which popped up on T-shirts.com, Doc Brown (Christopher Lloyd) himself—sort of—guides you through items that have and have not materialized since Robert Zemeckis’ second time going back to the…you get it. How prescient was the film? Like most predictions, it was way, way off about some things, but it did manage to hit the mark on a few. Overall it’s batting about .500, which, given the circumstances, isn’t bad. There’s still one still left to happen, and a couple inventions even Hollywood didn’t see coming. With only a year and a half until we reach the future world of 2015 from Back to the Future Part II, many manufacturers and companies are racing to make that future a reality. 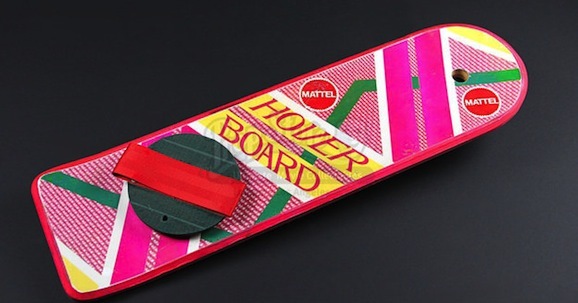 Last year, Nike released the very limited edition McFly sneakers (without the power laces) and Mattel sold the limited edition pink hoverboard (without hover capabilities). It’s only a matter of time before the Pepsi Corporation releases the Pepsi Perfect soft drink (which won’t be perfect) and Pizza Hut starts selling hydrating mini-pizzas (which won’t hydrate). 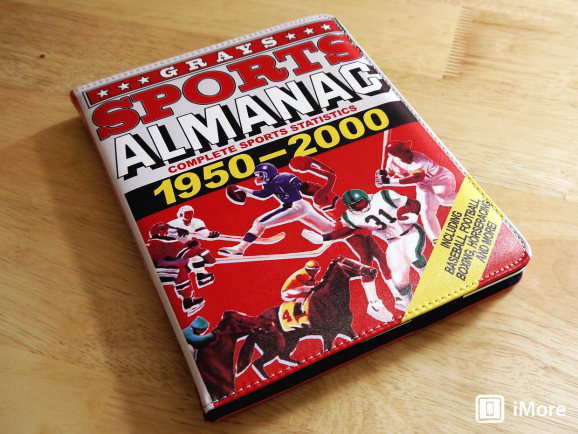 Now one online retailer is starting to sell limited edition Grays Sports Almanac iPad covers. So How Well Do Those Back To The Future Part II Hoverboard Prop Replicas Hold Up?